The #1 priority regarding a plastic shed base foundation is to prepare a solid level substructure for the shed to stand on whilst raised slightly above the grounds floodplain level to avoid the shed being sat in a flood is highly beneficial. Typical foundations for a resin shed relate to either a decked wood frame, paving slabs or concrete providing the solid substructure, elevated slightly above the ground to ensure efficient drainage and laid perfectly level to accomplish a flawless shed construction. Whether resin, metal or wood sheds are your preferred choice, it’s imperative they are laid above a floodplain level. Sheds are not waterproof unless they are sealed which is rarely the case. Quality plastic sheds do have a built-in floor however due to their interlocking assembly procedure faint gaps within their ‘snap into place’ mechanism will leak rainwater therefore construction above a floodplain level is essential. Unfortunately very few sales sites mention the importance of preparing the correct foundations, a stipulation headlining all manufacturers instructions leaving purchaser to find out after delivery, leading many to side-step this rule due to time restraints however failing to adhere can present frustrations. 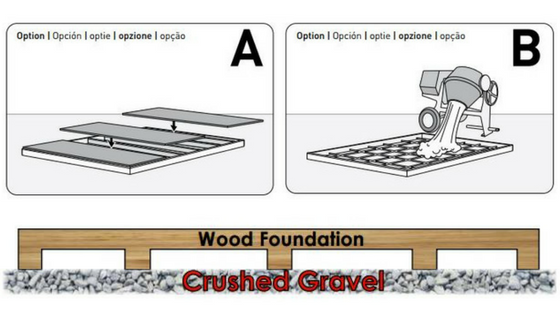 Solid level foundations are imperative for any plastic shed construction. This one-step process regarding preparing the correct base eliminates assembly headaches and future issues in one fell swoop by ensuring a superlative shed stance. Plastic sheds are manufactured with resin sheets, each sheet requires a plumb alignment with the next panel and their fixing holes to line-up with the holes in the metal framework prior to securing with screws. A perfectly level base escapes frustrations by delivering easy alignment and aids accomplishing a fast efficient assembly procedure. The vertical alignment of the doors can present a nightmare from an irregular base. On the contrary, level footings enable achieving a plumb door alignment ensuring a true opening swing and the correct closure is delivered. Unbalanced foundations can generate leaning pressures to one side of the shed. Level foundations eliminate stresses by ensuring the shed stands perpendicular to the base, imperative for the roof weight to apply equal force on all sides of the shed. Quality plastic sheds are all inclusive of an integrated floor. Their floors vary in thickness and are purposely toughened to cope with the stresses heavy duty storage endures however they all require a solid flat base in order to survive the pressures and provide longevity for demanding use. It’s important to anchor plastic sheds down onto the solid foundations to increase wind resistance levels and stability regarding their overall construction. Anchor screws are not included, their type is dependant on the foundation material laid below. There’s a plethora of different ways to install foundations, YouTube is full of ideas and demonstrations, it’s just a matter of choosing a method that suits your DIY skills, shed serviceability and location. Many people prefer concrete foundations to be professionally installed due to their workload and machinery required but this maybe a preferred option if you require an extremely large shed for more stability. Levelling paving slabs or making a wooden framework and topping off with either decking boards or OSB board etc can be accomplished by a more novice DIYer. We decided on wooden decking for our resin shed foundations, simply because some friends had a surplus of decking left over after completing their patio, the left-overs fit our dimensions. Purchasing pressure treated timber we made a framework slightly larger than the shed’s base expanse, making sure it was perfectly square by measuring across both corner-to-corners. Equal measurements across both corners deliver a perfect rectangle/square. We fit a few spurs of timber across the widths in equal measurements to enable supporting the decking, secured 6 legs to the corners and centres measuring about a foot long and then proceeded with the ground location. After choosing the required spot enabling movement around all sides for shed assembly purposes we levelled the ground with a rake and covered the base expanse with a membrane to prevent weeds growing. We dug 6 holes for the legs to stand in and levelled the framework slightly above ground level by placing gravel in the holes until all legs were firmly grounded whist accomplishing a perfectly levelled frame. We mixed Postcrete and water in each of the holes just like you do for installing garden fence posts, this sets in 20 minutes although we left it overnight to be certain. We then proceeded to place a levelled surface of gravel across the entire ground-membrane underneath the frame to maintain its position followed by securing decking across the framework. A great tip we picked up was to drill a few holes into the deck-boards underneath where the shed sits to allow for drainage increasing the wood’s longevity against decay. Assembly delivered quite a straightforward job for novice DIYers like Tracy and myself, much easier than mixing and laying concrete. A great way for an average sized resin shed, very pleased with the outcome. Assembling the shed went like a dream, it’s all down to laying a perfectly levelled base ensuring the panels align correctly and at ease, leading our assembly on to a fast efficient construction. After the shed’s construction we purchased some wood anchor screws and wide washers to ensure a good fixing between the sheds base and foundations, increasing overall stability, thus providing sustained defence against adverse weather. You can purchase shed-base foundation kits ( This is an affiliate link. 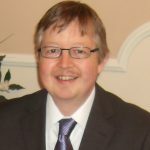 Read the Affiliate Marketing Disclosure) over in the UK nowadays to fit almost any shed foundation plans, consisting of a similar structure to our framework, available in various sizes to suit different shed base dimensions. These specific kits contain wooden legs, secured to the corners and centre positions just like we created. Positioning is achieved by digging holes at the leg positions and levelled by placing grit or pebbles underneath the legs in the holes making sure the base is elevated slightly above ground level. Once perfectly level it’s time to fill the holes with concrete to produce a solid foundation followed by topping off with decking or OSB boards prior to constructing the shed. 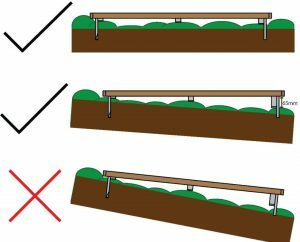 This video shows a very similar concreting process to which we performed yet with metal spikes rather than wood legs, notice the ground membrane under the decking, this prevents weeds from growing underneath yet allows for drainage. 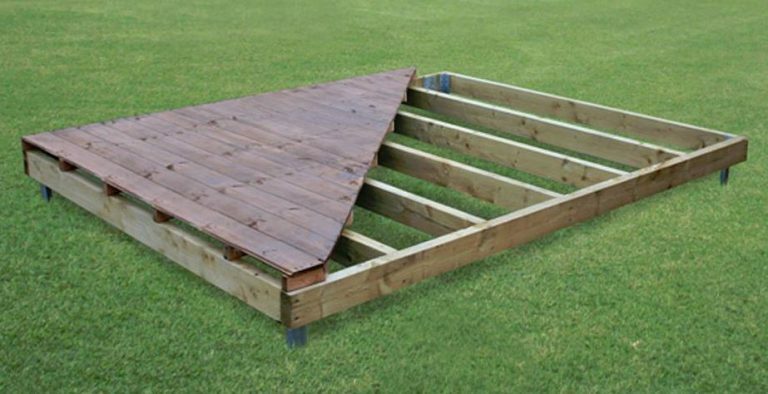 Other shed foundation kits contain a similar framed structure to our method however instead of wooden legs to which we concreted into the ground these kits come with metal ground spikes which are secured to the frame and hammered down into the ground until a levelled sub-frame is produced. There’s a lot more involved with mixing and laying concrete, it requires more advanced DIY skills, hefty bags of concrete and a concrete mixer yet is the best solution for an extremely large shed construction in order to further increase stability. Many people ask a local builder to lay concrete foundations. Tiger sheds have an excellent post divided into 3 sections, explaining the process of laying concrete foundations, paving slabs and a timber bearers method which is worth inspecting. 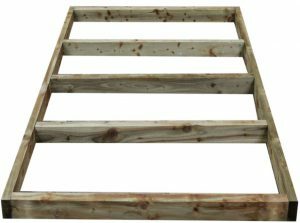 B&Q’s dedicated foundation page describes the various ways and methods shed bases are professionally laid down for a garden shed. 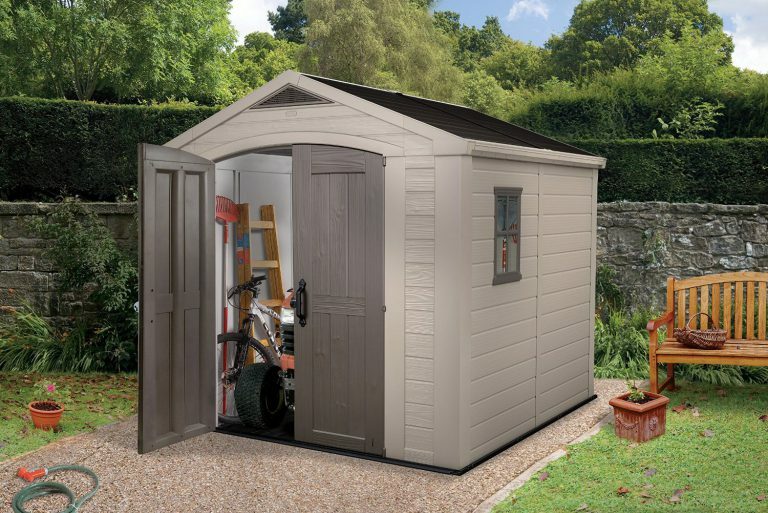 Explore the various Quality Plastic Sheds reviewed on this website – Sizes, designs and budgets to suit a whole spectrum of low maintenance outdoor storage solutions. Thanks for reading the various methods of preparing a plastic shed base foundation. If you have any tips and wish to share, please feel free to drop them in the comment section below. Please share these foundation rules with your social friends. Thank you! This is a great article and very detail information. 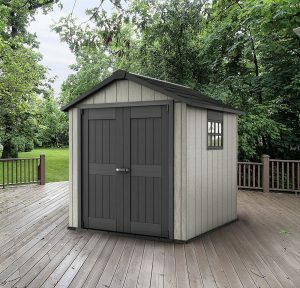 I live in Florida and in need of a new shed. We currently have a wood base and it’s rotting due to the weather here. When we are ready to get a new shed we will definitely have to put down a concrete or paving slabs foundation. Thanks for dropping by and reading about the various methods and materials a plastic shed base foundation can be prepared with. Yeah, rotting issues, that’s the major issue regarding wood. We did use decking simply because some friends had a surplus left over after building their patio, all we really required was a levelled framework preparing however we took a great tip on board and drilled a load of holes beneath where the shed sits to ensure water runs straight through rather than puddle, this does increase the wood’s longevity to decay. Concrete or paving slabs are ideal, there’s two great videos here on how to prepare them both level as this is a resin shed’s requirement. If you opt for extra large sheds where heavy duty equipment is gong to be rolling in and out on a regular basis, I would sway towards concrete to maintain a levelled position long term. You in Florida have very similar rainfall levels to us here in the UK however you get plenty of summer sunshine and red hot weather in among, unfortunately this is quite rare over in the UK – ha! Thanks Simon. This is really helpful. I am buying a resin shed for my son (belated birthday present! !,)who has a “base” already in place and I was wondering how to ensure the shed remained stable and did not blow away. The base is concrete and probably supported a shed from a previous occupier. If it proves to be level, we should only have to solve the problem of fastening it. If, as I suspect, the base is not level, do you think it is better to skim it with concrete to level it or build a timber base? It is pretty sheltered with walls on 2 sides and would face a house wall about 10 feet away. 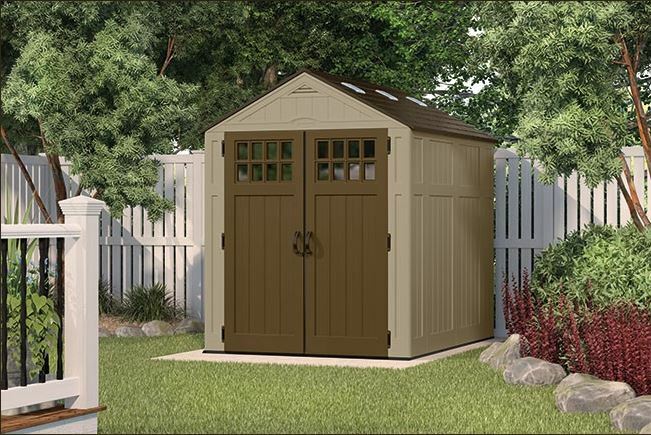 Maybe a Keter shed with integrated base would be a good idea. Then I would worry about the concrete being uneven below it. Thanks for a detailed coverage of all these sheds. It has been extremely helpful. Thanks for visiting and reading about preparing a plastic shed base foundation. For any resin shed, the priority is to have a solid level flat base, sounds like you’re nearly there however I would skim the surface completely level and flat prior to assembly. Resin shed floors are all purposely toughened to cope with heavy duty storage pressure IF they are mounted on the correct foundations, their construction certainly requires it. Failing that, dependant on one’s DIY skills if levelling concrete is not your bag, level a timber frame on top, that would be fine also.